There are strawberry jams and strawberry shortcakes and such. There are even recipes for strawberry pasta and salads. These make me nervous. 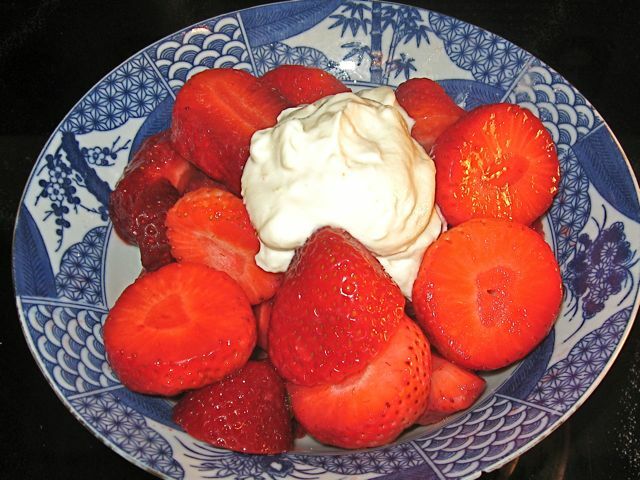 The best thing you can do with fresh strawberries is eat them the way they are. Still, a strawberry recipe is called for, and I could not bear to disappoint. So here it is — four ingredients, two minutes, almost as simple and elemental as a strawberry itself. It is a garnish for the berry, rather than the usual other way around. It’s reminiscent of a cannoli filling but lighter, inducing less guilt, suitable for breakfast, snack, or dessert. Blitz the ingredients together in a blender or food processor for two minutes or until incredibly smooth. Serve beneath or atop berries. The ricotta keeps, covered, in the fridge for several days.